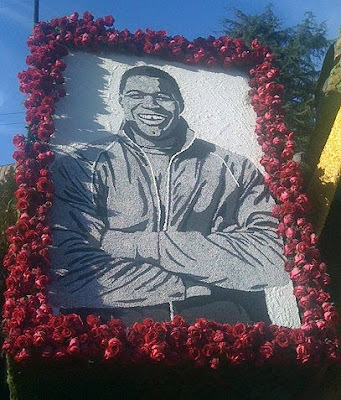 FOX Sports' Michael Strahan always was a bigger than life player on the field. This has now carried over to this year's Tournament of Roses Parade in Pasadena, where he was strutting his stuff. OK, his stuff was being strutted as seen in this photograph posted on Twitpic. We did not go looking for this picture, so how did we find it? From Strahan himself as he was humorously strutting his stuff through a Retweet from NyMetsFan14 on Twitter. Bur seriously, it is a pretty funny image.